Ceiling fans provide an economical aid to heating or cooling in almost any room. By keeping the air circulating, they can augment the heating system in the winter and the air conditioning in the summer. Wireless ceiling fans are controlled using a remote. These wireless control systems can be built into the fan or purchased as an add-on and installed in existing ceiling fans. Many homeowners have questions about how the wireless technology works and what types of issues they might expect in regard to maintenance and repair. Wireless ceiling fans can be controlled remotely and can thus be placed in otherwise unreachable locations. Some homeowners may wonder whether or not they can have multiple wireless fans in the same household. The concern is that one remote would communicate with all of the fans, turning them all on or all off, rather than just the intended fixture. A wireless fan comes with a remote that can be set to a specific combination using what's called a dip switch. With each remote set to a different combination, a household can operate multiple wireless fans individually. Most ceiling fans come with a reverse switch to run the fan in the opposite direction in the winter. This takes warm air from up near the ceiling and recirculates it back down to the living area, the exact opposite of what you want the fan to be doing in the warmer weather. Typically, wireless ceiling fan remotes will not have a reverse button on the remote, but the fan itself will have a reverse switch on its housing. Turn off the fan before flipping the switch between seasons. Most wireless fan remotes that are attached to fans with light kits will have a button to also control the lighting fixture on the fan. When you are installing a wireless remote system in an existing fan, you will have the option to purchase a control system that can also control a light kit. If your fan does not have a light kit, consider purchasing a wireless remote kit that does not have this option. It should be less expensive and will avoid confusion by omitting a light button on the remote. Wireless kits for existing fans can be purchased in most any home improvement store. These kits should be installed by a qualified electrician, but many homeowners opt to install them themselves. 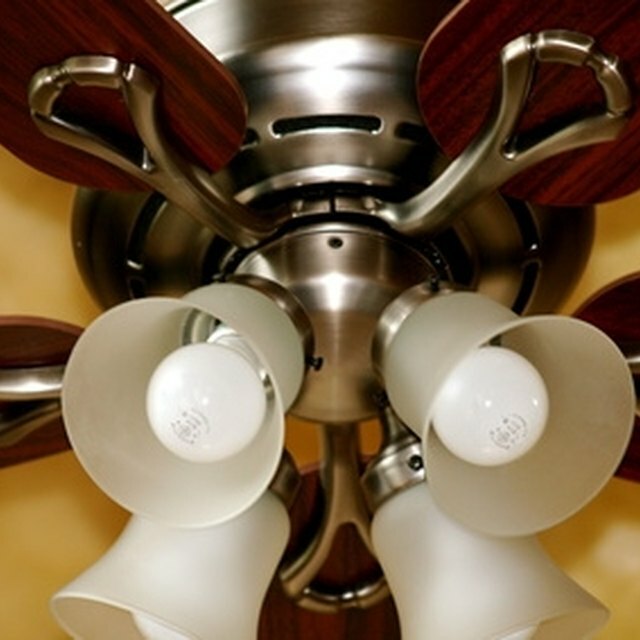 Never work on a fan without shutting off the electricity to the fixture and confirming that the wires are not live. The wireless fan control kits will be connected to wires running from the existing fan switch, often a pull chain, to the fan motor. The controller will have a small wire that is an antenna. This wire needs to be hung out from the fan assembly in order to receive a signal from the remote.